In a couple of weeks (16th Sept), I’m off to a blogging conference run by the team at BlogOn (BlogOnuk.com) – it’s only down the road at Hotel Football, in Old Trafford, in Manchester – about three miles from my house. I’d heard about these conferences which have been held twice a year since 2013 – everyone said how great it was. I went to one of their Conferences in May; it was really well run and very useful. I learnt so much that day, especially about Pinterest It was lovely to meet people I’ve known on Twitter/ Instagram face to face too. This led me to attend their first Festival of Happiness in at Victoria Warehouse in Manchester in June. They’re holding another Festival in Birmingham on 29 June 2019 – info. I thoroughly recommend following them on twitter and attending their conferences. Such a wonderful, optimistic and positive day. It’s not just for parent bloggers either. The goody bag was massive with loads of useful things. update your knowledge – technical topics, photography. This entry was posted in Life and tagged art of brilliance, Australia, Baking, blogging, BlogOn, Bonfire night, cat, Chinese food, dim sum, gyoza, hogmanay, lisbon, new year's eve, Othello, Photographs, portugal, positive psychology, Shakespeare, spring, tennis, training, Women's Institute on August 29, 2018 by Bec - views from my garden bench. An update on my #100happydays challenge – http://100happydays.com/ from last month. It’s all about our holiday to Lisbon. 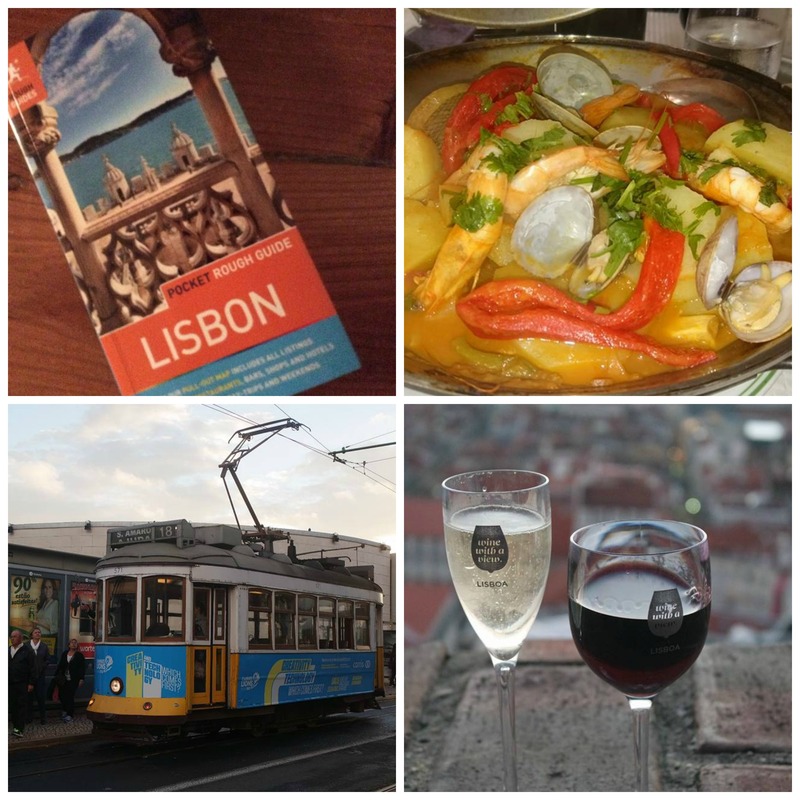 Lisbon is a wonderful city with a very long history, the sea, great views and suburb food; There’s loads to do including visiting art galleries. museums and castles. It’s easy to get around with trams and metros which is handy as it has ALOT of hills but the view are amazing. There are many miradors (viewpoints) around the city. There were many beautiful parks; huge hibiscus and lemon trees in front gardens too. I know we will visit again. We found a great apartment in a 1930s modernist building, via Housetrip (www.housetrip.com) near the University. It was wonderful to live among the locals, use the local shops and practise our Portuguese 🙂 and there was a metro stop 5 mins away. The weather was grim the first day, very wet because there was an Atlantic storm going over. It was overcast a lot of the week but warm. The locals kept apologising for the weather which made us smile – warmer and drier than Manchester for sure. My chap ate a pastel-de-nata (Portuguese custard tart) every day – I had fish every day. I’ve got a long list of fish species in Portuguese now. It’s always an adventure ordering fish abroad, as you’re not always sure what will arrive on the plate. Belém was the gateway to Lisbon and protected the entrance of the River Tagus. It is well worth a visit especially as it’s the home of the The Torre de Belém, the symbol of Lisbon (and a world heritage site). This is a square tower which would have been accessed by boat; about 50 feet from the shoreline. It was built in 1514 in the middle of the river. Until the Lisbon earthquake in 1755 changed the course of the river, thousands died and many of the magnificent buildings were destroyed. The caravels (ships) left from Belém in the 16th century to discover the West Indies, South America and the Far East. In 1960 ,a 50 metre monument, in the shape of a carvel, was built to celebrate 500 years since the death of King Henry the Navigator. He’s at the front facing the sea, with huge stylised statues of famous Portuguese including Vasco de Gama. It has stunning views from the top (and a lift). Elsewhere in Belém, there’s the Mosteiro dos Jeronimos (the monestery is a world heritage site) and many art galleries. It’s also the home of Pastéis de Belem which is where the pastel de nata was invented in the 1830s. A fascinating place to visit, originally a moorish castle in the 1100s (though the Romans were there first, as you’d expect). It has been in continuous habitation since then, the Portuguese Royal family lived there in 18/19th century. It’s a huge site, with extensive ramparts and the views from the castle are stunning – I took a day and night shot. We spent a very happy hour or so drinking Portuguese wine on the ramparts over looking the city – it didn’t close until 9pm. It’s a real shame that the we don’t do the same here. There should be two ‪#‎100happydays photos because we visited two wonderful castles in Sintra – the national palace and palace de pena – I chose pena because it reminded me of castle neuwanstein which we visited in January when my brother and family were over from Australia. This photograph was taken as the sun was setting, it was truly magical. We were the last people to leave, the Portuguese bus drivers waited for us too. It’s an easy trip on the train from Lisbon and there’s a circular bus to get to all the sites – don’t walk as it’s very, very hilly. Sintra is a world heritage site and also has a Moorish caste on the top of the hill and many beautiful gardens. We only scratched the surface of what’s there. We could probably spend a week looking around. We’ll be back there too. Pottered around the parks of Lisbon but the best thing was a brilliant covers band in Baixo Alto. Their tip box made me laugh – yes they were hitchhikers fans. We listened to some fado too but it was very melancholy, which was a bit much for me in my current mood. The Bica funicular climbs from Rua da Bica for 245 metres from the Rua S. Paulo, near Santos, to the Calhariz district (Rua do Loreto). We went down the hill in a beautiful wooden panelled carriage which fits about 25 people. It was built in 1892 and is a national monument. The lower station of this funicular is almost hidden behind a façade on the Rua de S. Paulo with the inscription ‘Ascensor da Bica’. My chap and I walked past the bottom station twice, because it was covered in plastic sheeting 🙂 There are three funicular railways, and we went on all of them, and two elevators. Trips on elevators, funicular railways and more views across the city – with churches, the sea, castles great food and a mojitos too. Lisbon is just an amazing place and it’s people are wonderful too. The 430am start to get the plane did me in so it was an early night. It was lovely to be home too. 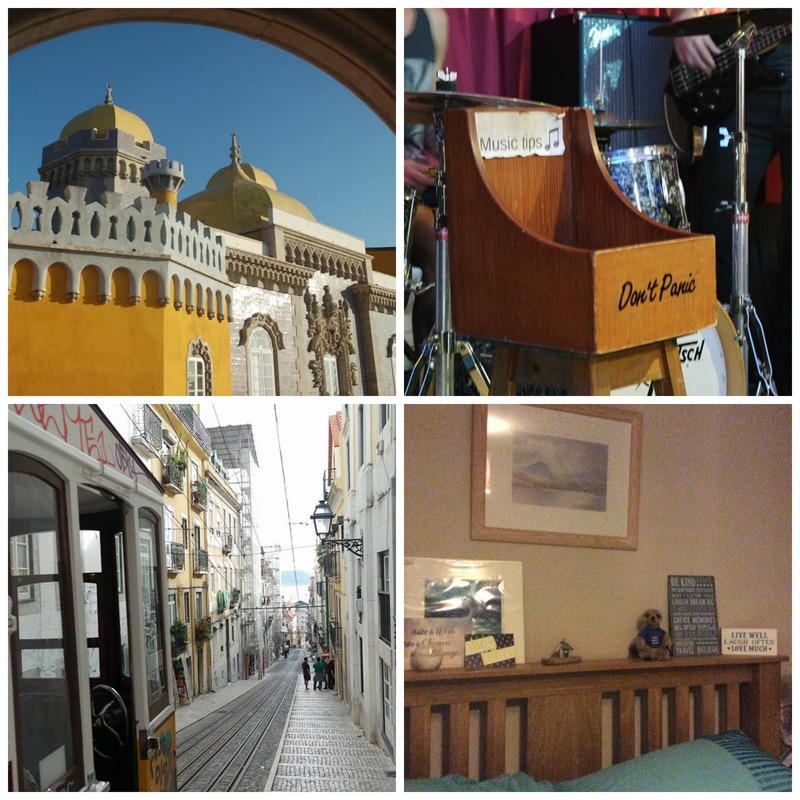 This entry was posted in 100 happy days project, Adventures, Food and Drink and tagged #100happydays, belem, castle, lisboa, lisbon, music, portugal, railways, sintra, wine on November 12, 2015 by Bec - views from my garden bench.